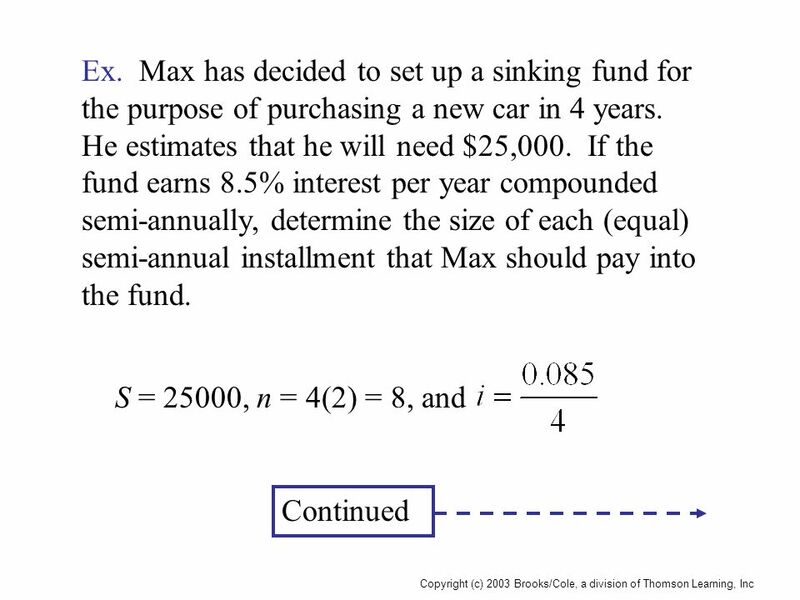 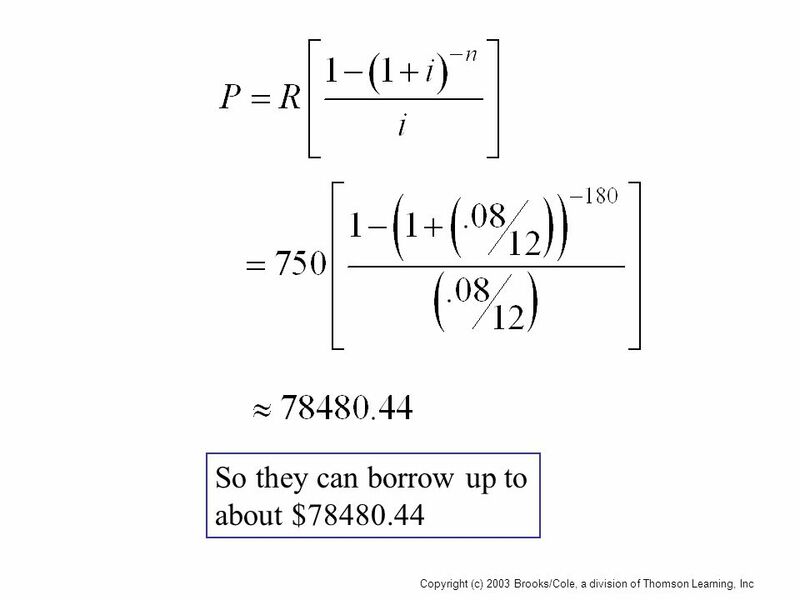 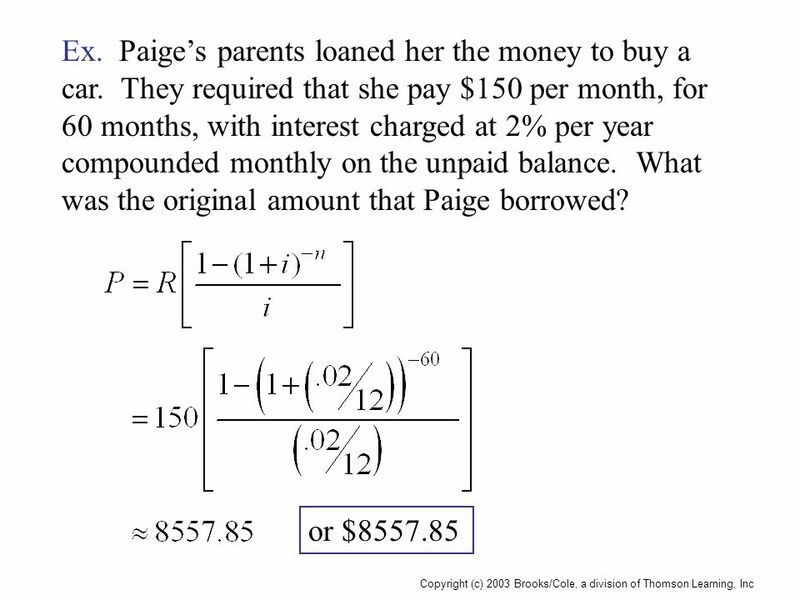 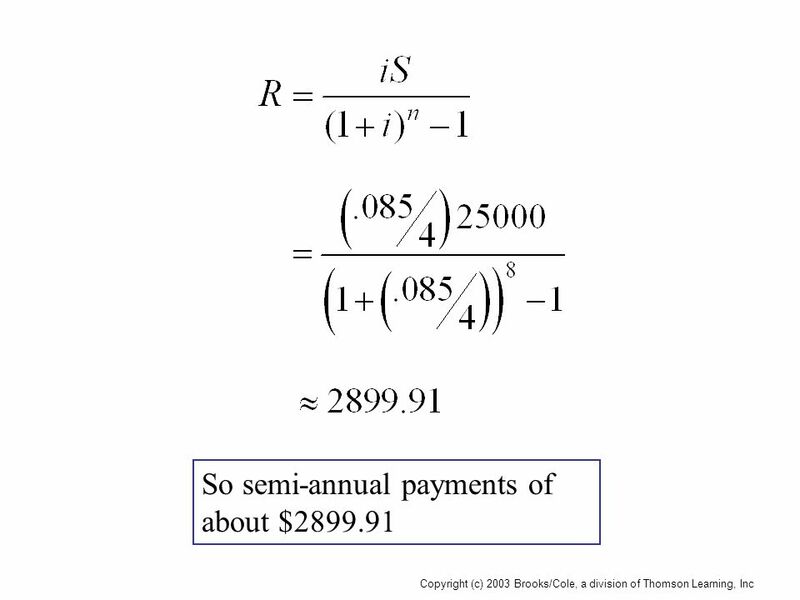 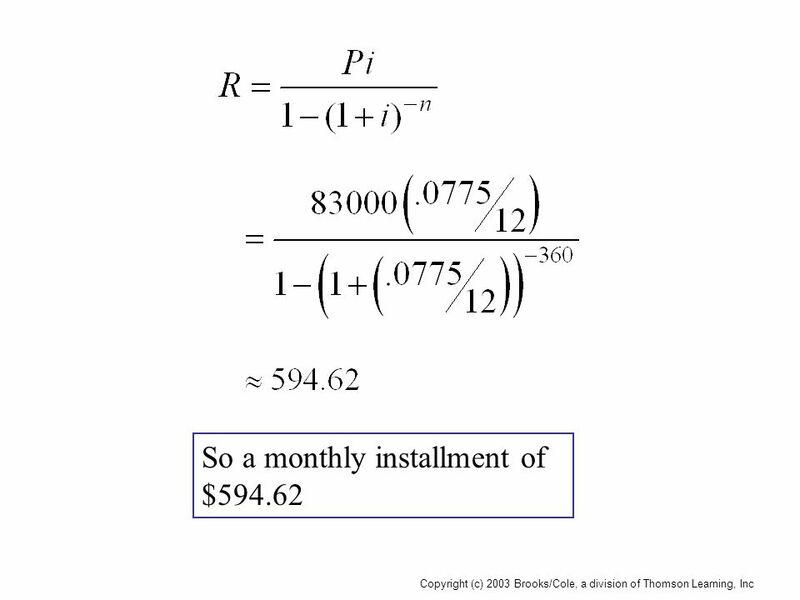 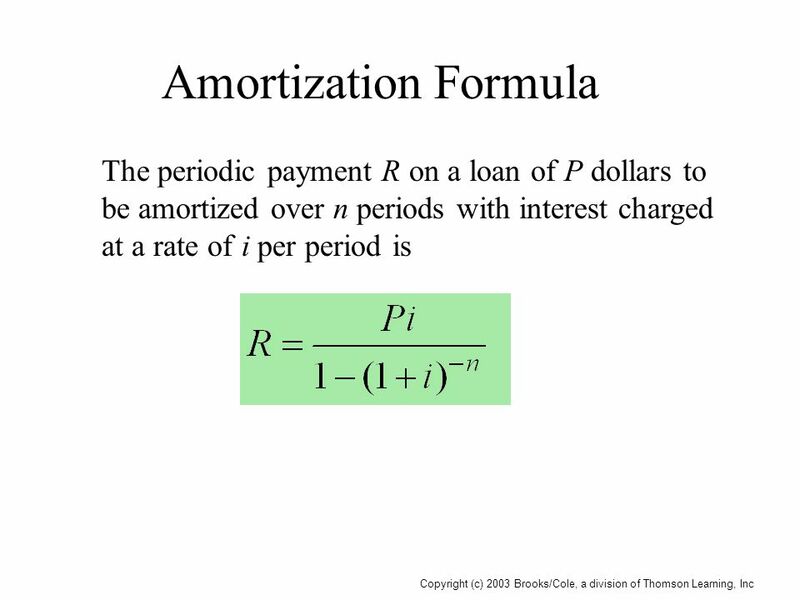 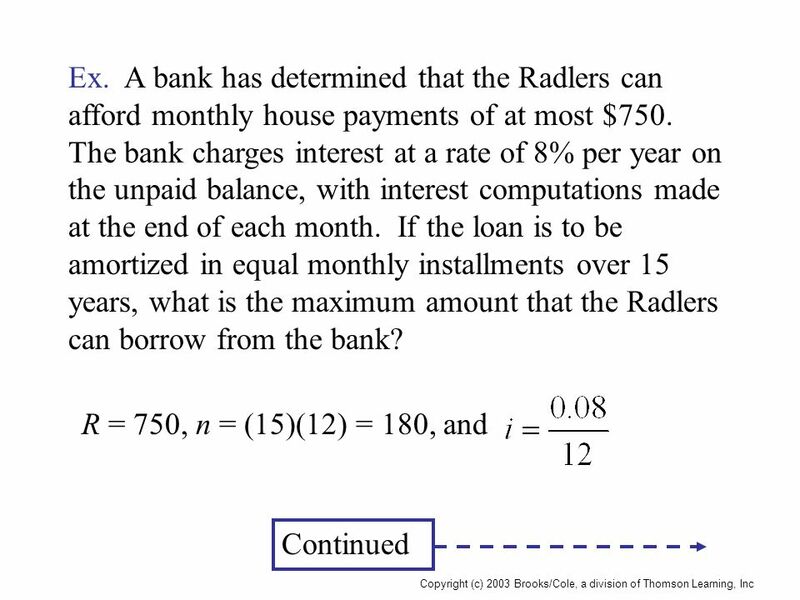 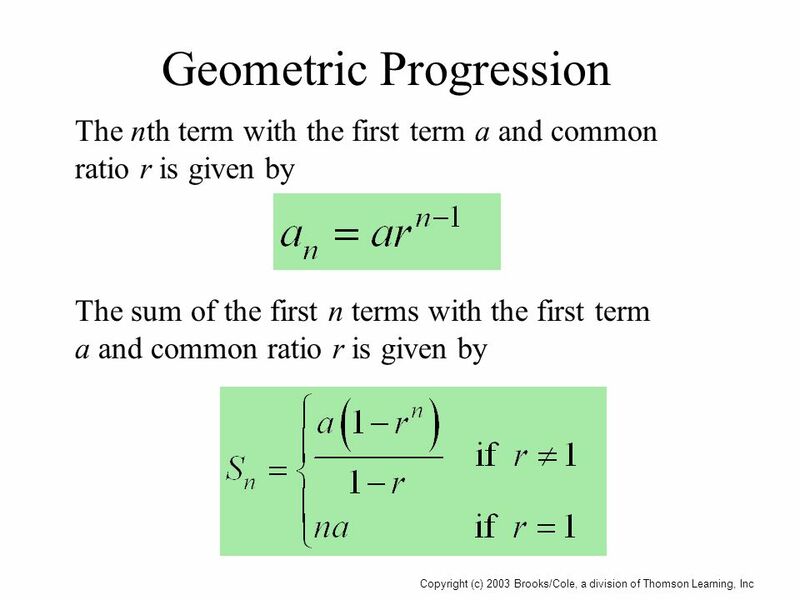 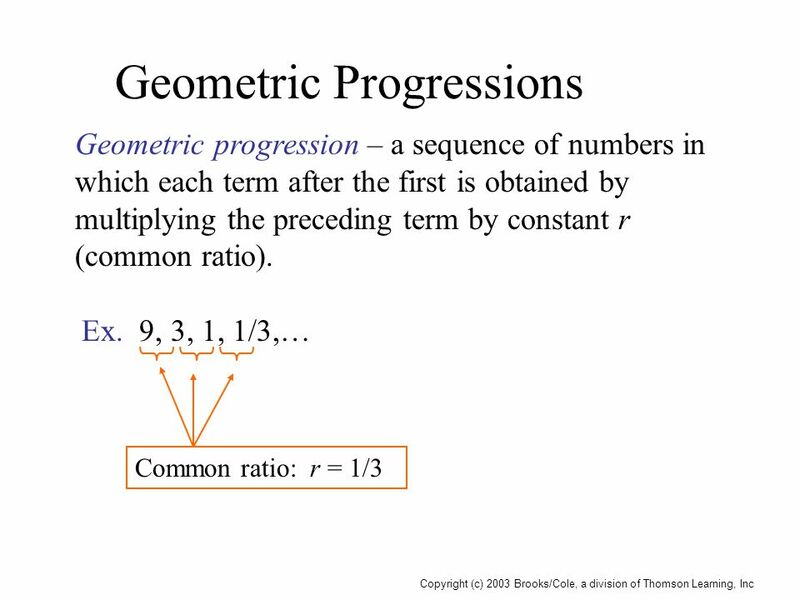 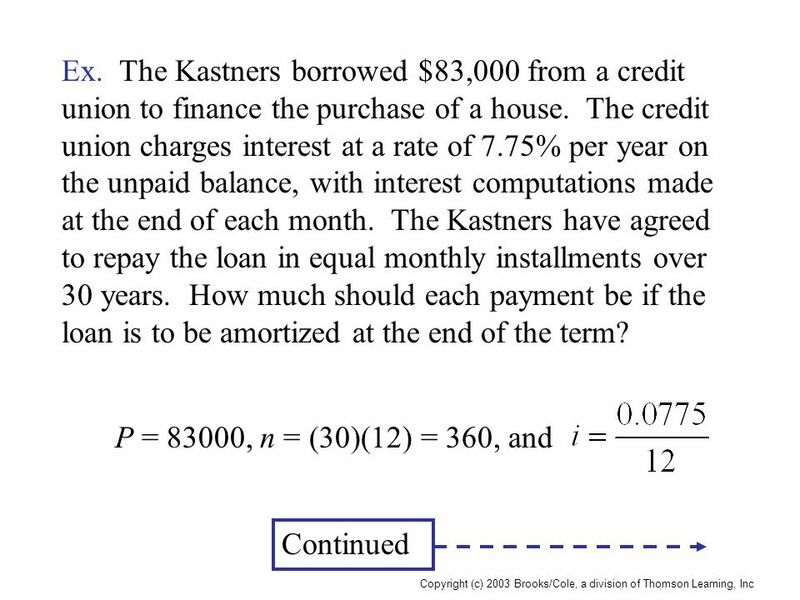 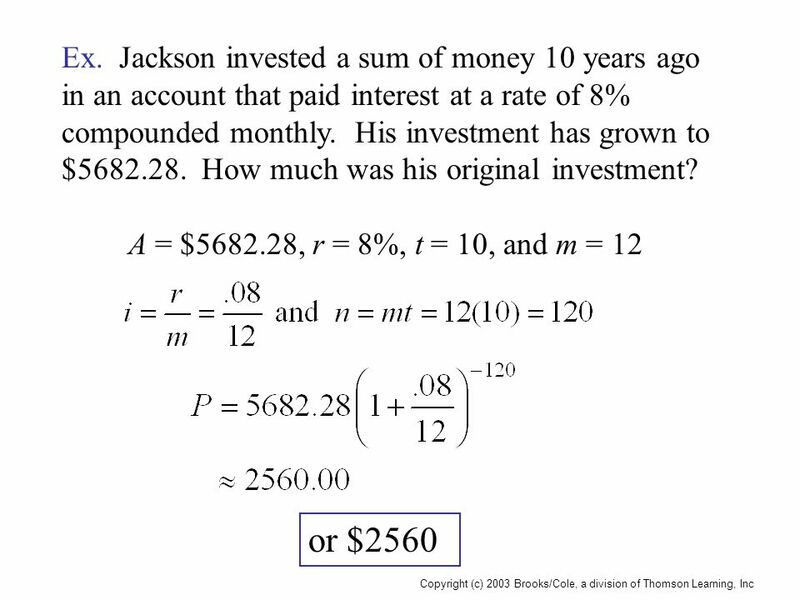 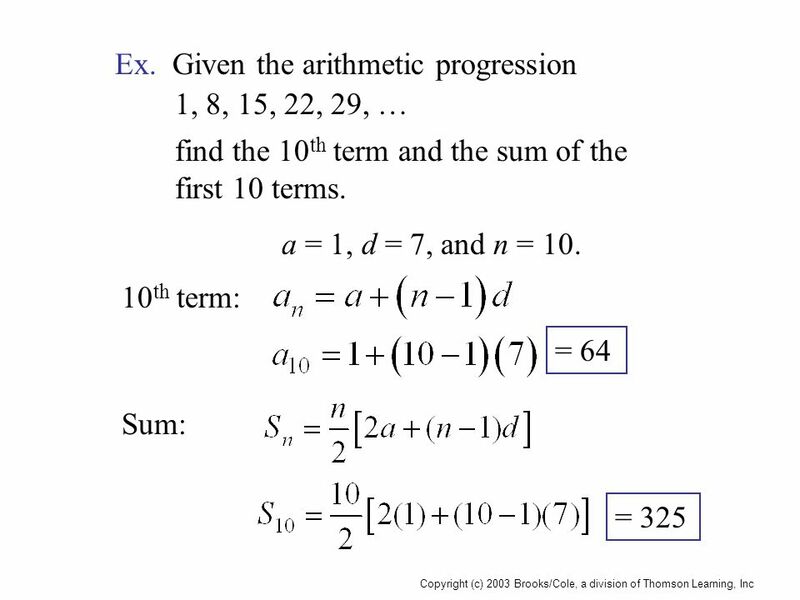 Download ppt "Copyright (c) 2003 Brooks/Cole, a division of Thomson Learning, Inc"
Chapter 5 Mathematics of Finance. 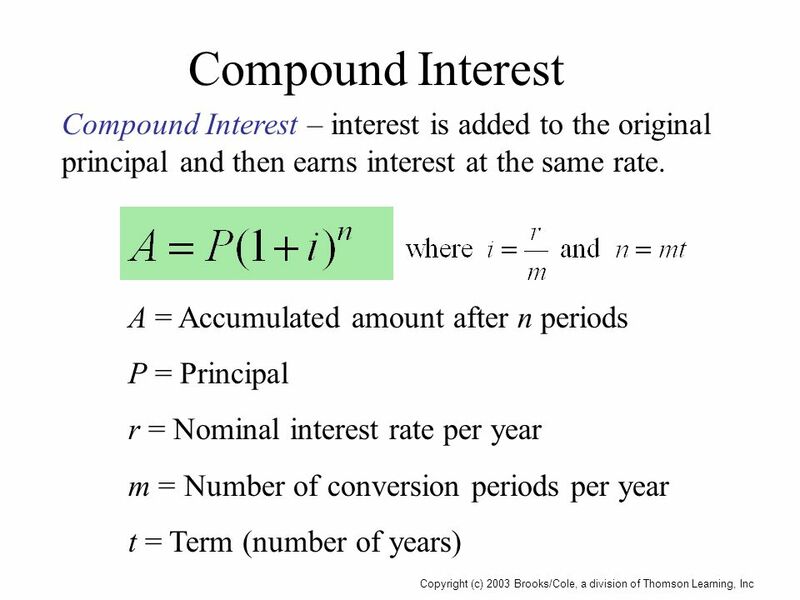 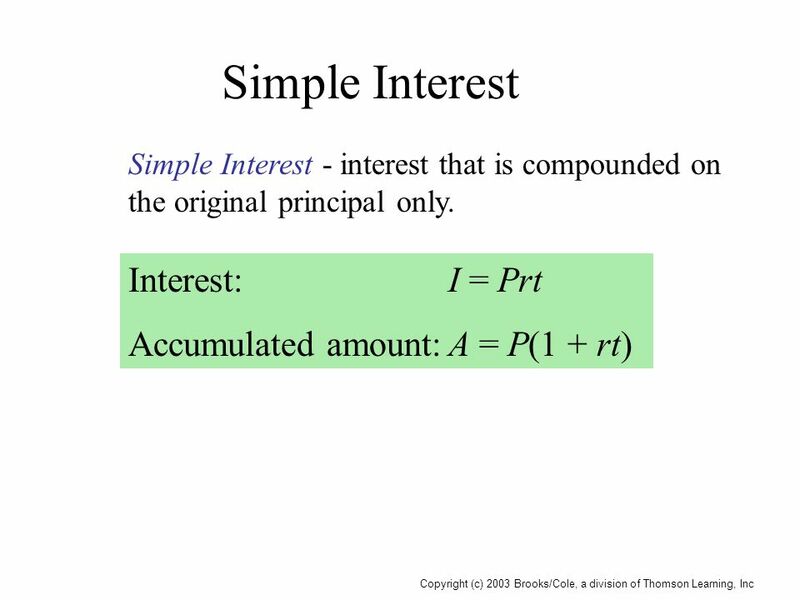 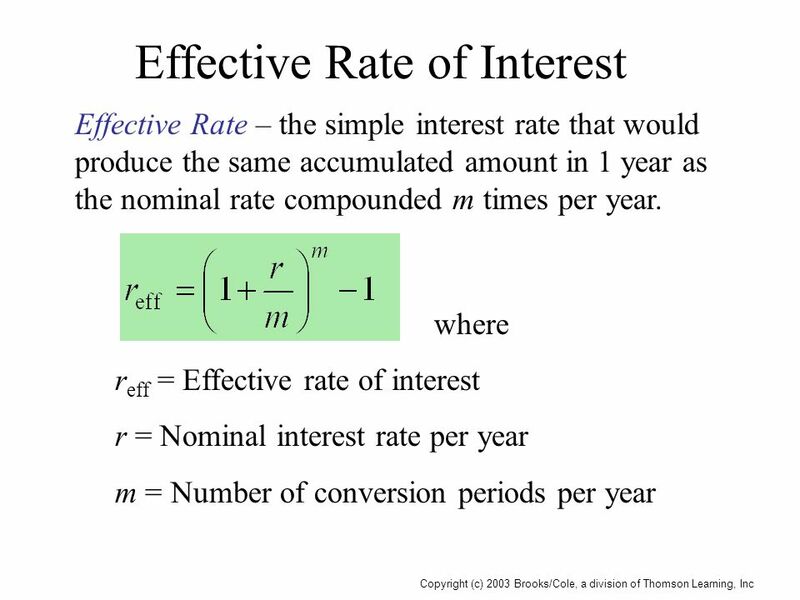 Copyright (c) 2003 Brooks/Cole, a division of Thomson Learning, Inc.
13.1 Compound Interest Simple interest – interest is paid only on the principal Compound interest – interest is paid on both principal and interest, compounded. 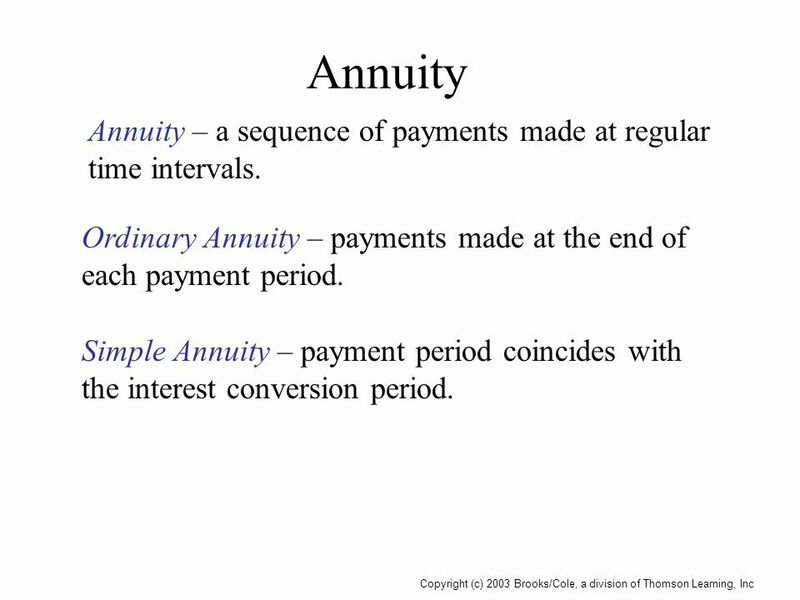 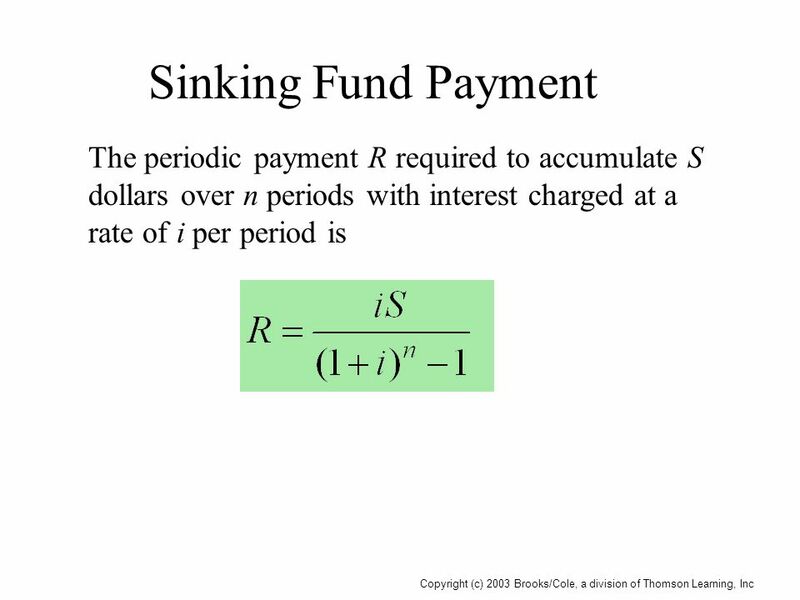 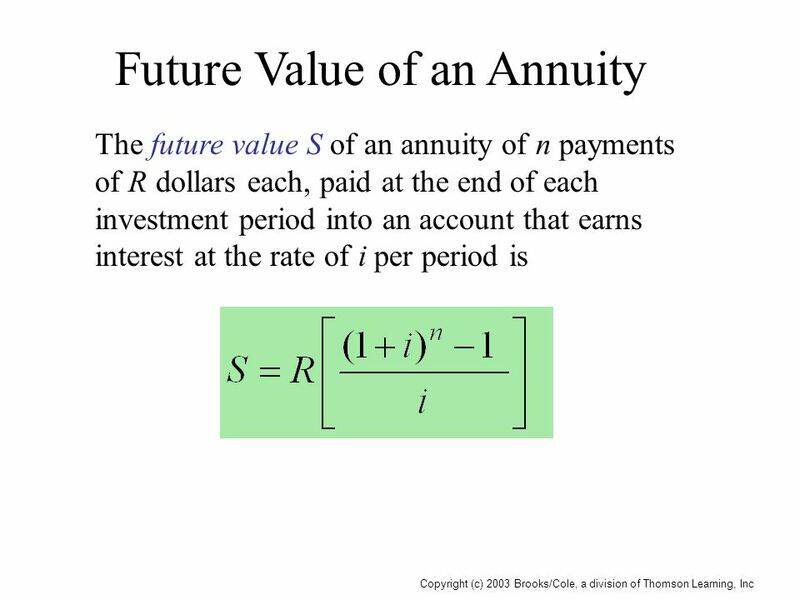 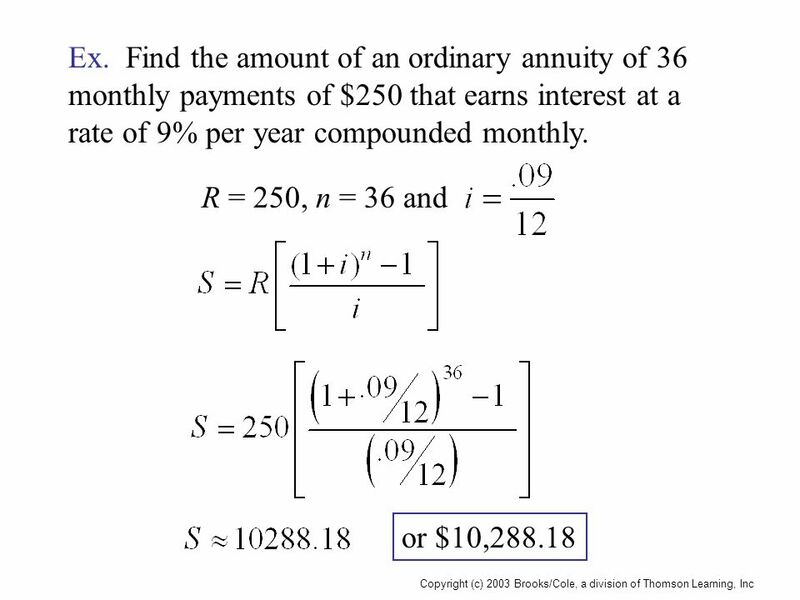 Chapter 3 Mathematics of Finance Section 3 Future Value of an Annuity; Sinking Funds. 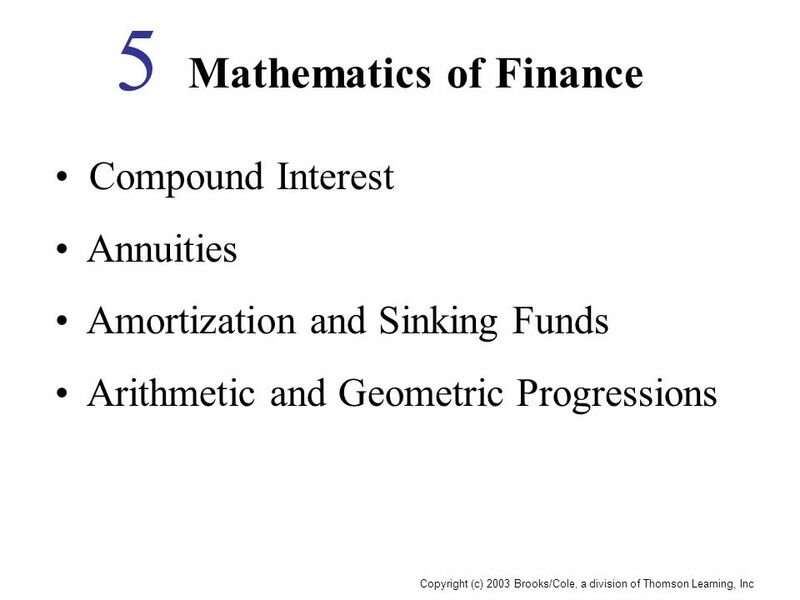 WWhat is financial math? 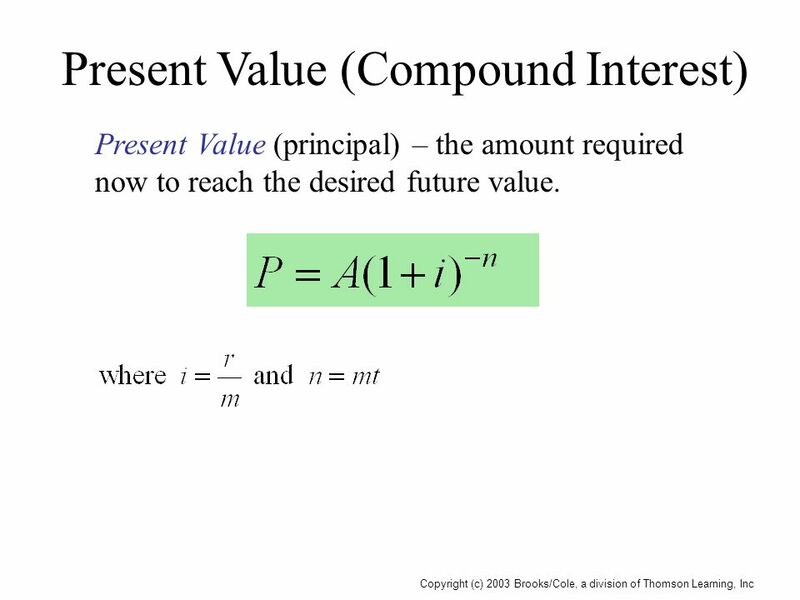 - field of applied mathematics, concerned with financial markets. 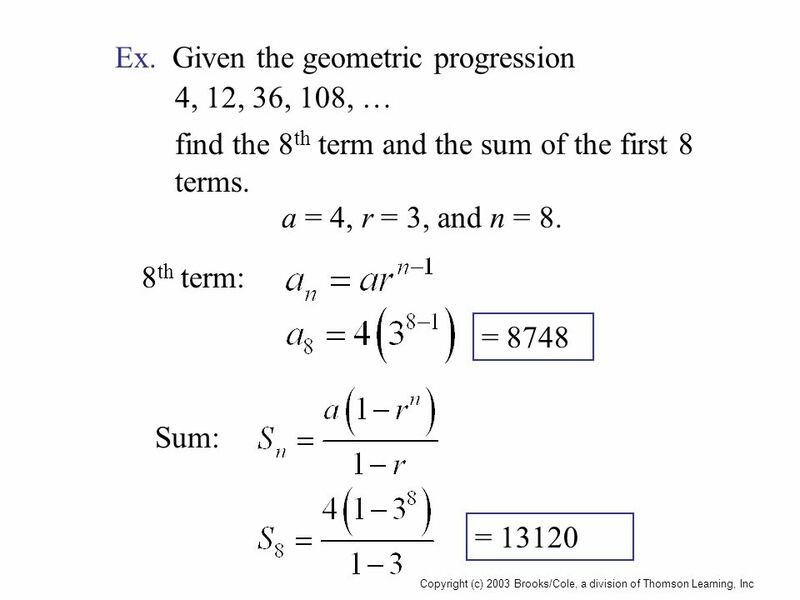 PProcedures which used to answer questions associated with. 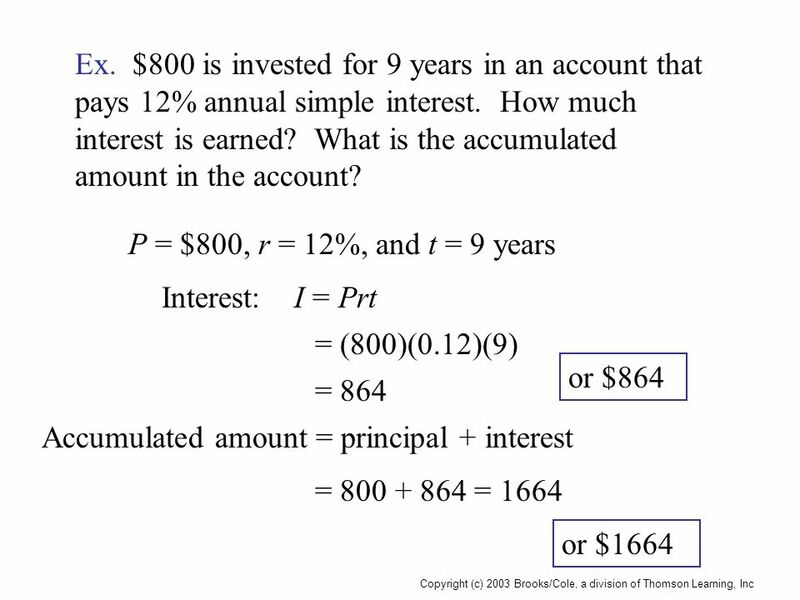 Simple Interest 7th Grade Math. 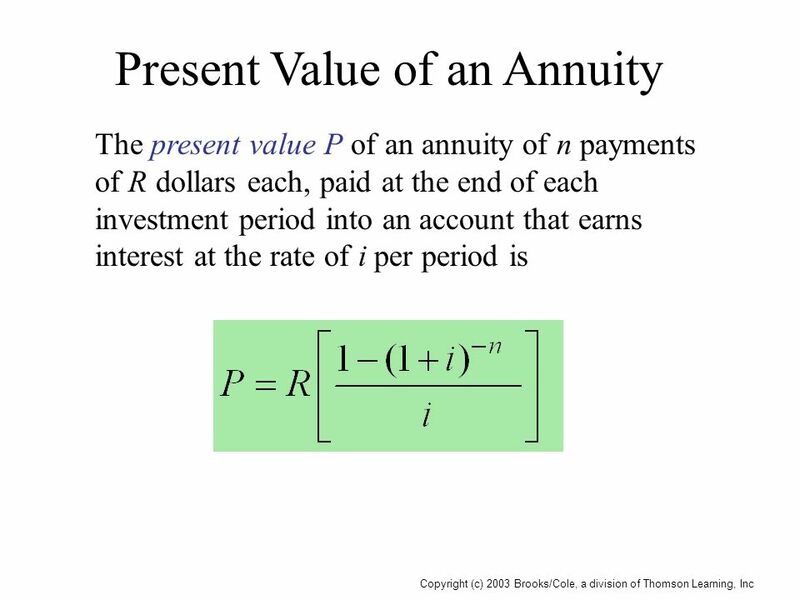 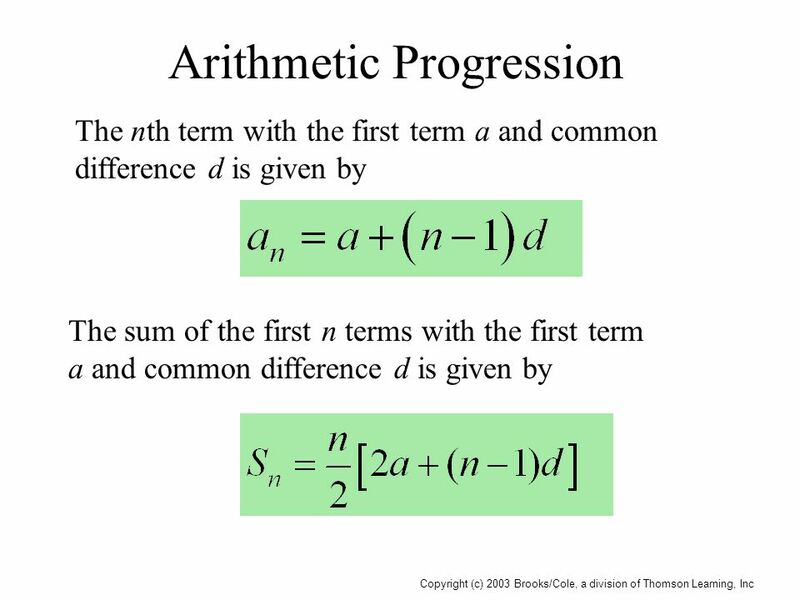 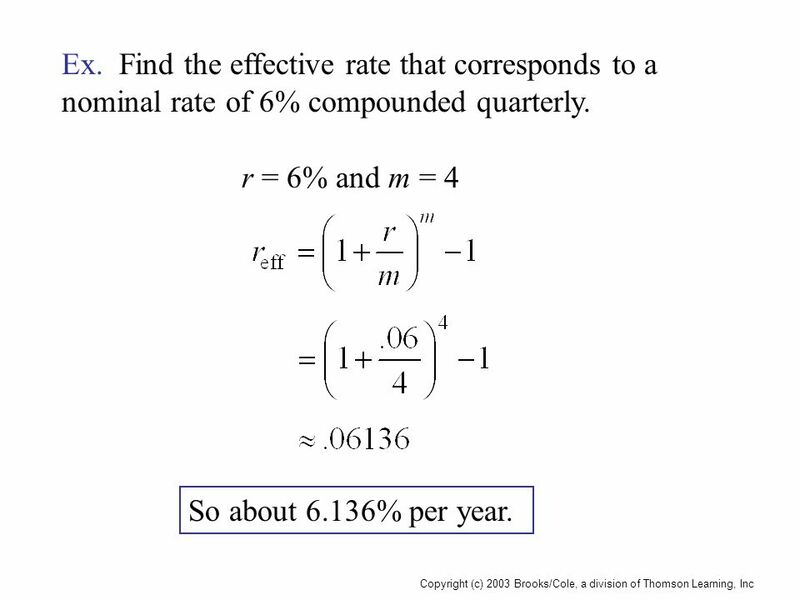 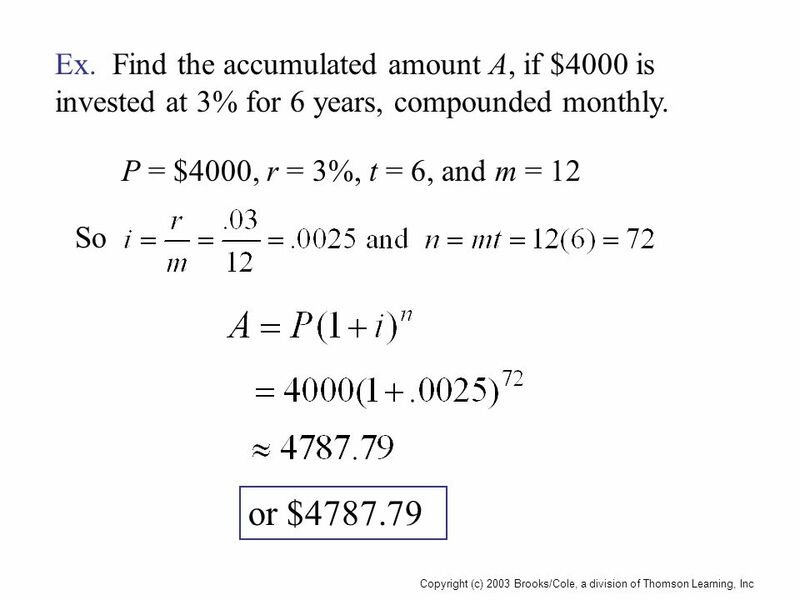 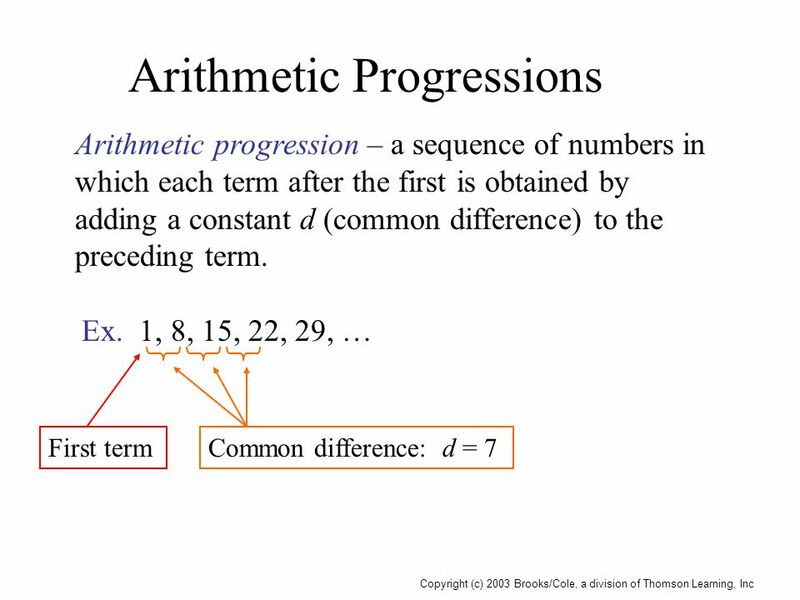 7-1 Copyright  2010 McGraw-Hill Australia Pty Ltd PowerPoint slides to accompany Croucher, Introductory Mathematics and Statistics, 5e Chapter 7 Annuities.